Join other community members at the Little Bird de Papel studio to create beautiful soup bowls for a homeless charity fundraiser to be held in March 2018. You will learn how to build ceramic bowls from slab clay and a mold. Your bowl will go through a bisque firing. 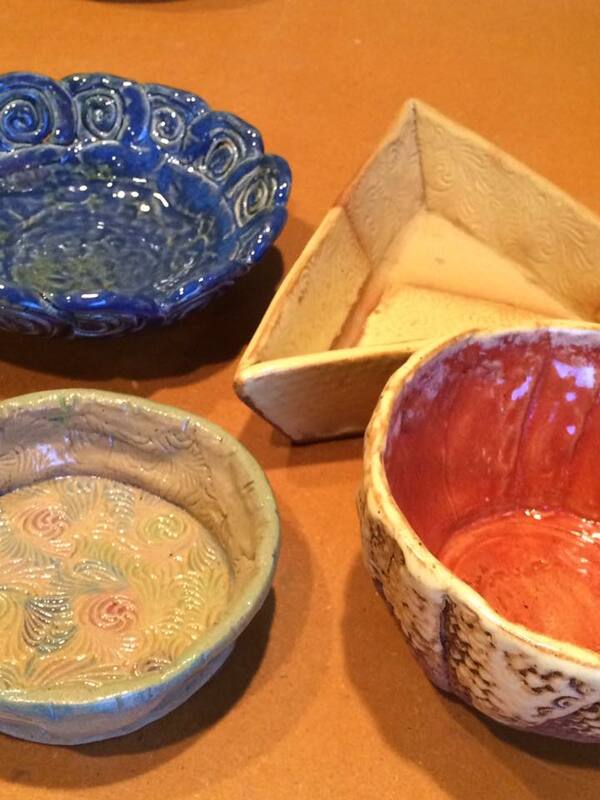 Then you will learn how to refine and decorate the bowls for a final, glaze firing. You will be able to make as many bowls as you would like throughout the year. Participants in this project are invited to volunteer at the fundraising event in March 2018 during Women and Creativity Month. This project started eight months ago during 2017 Women and Creativity Month. Since then nearly 40 individuals have dropped by to make one or more ceramic bowls and to help glaze them after the bisque firing. We have made nearly 400 bowls for our event in March 2018. 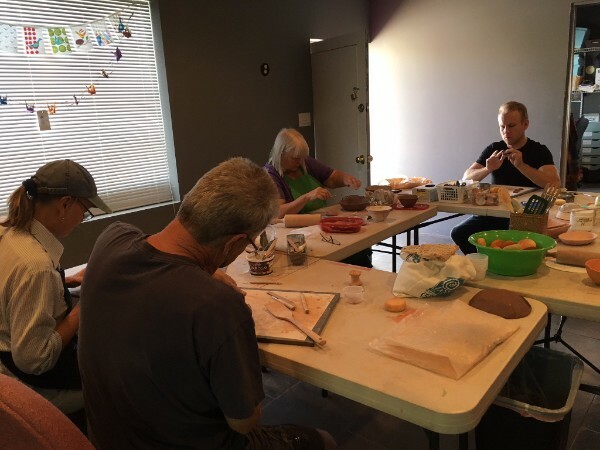 Some people have only come by once and made one bowl; others have come nearly every weekend to build more bowls and to help with the glazing. You do not need any experience to come by and build one or more bowls thanks to the expert assistance we have received from professional ceramicists Penne Roberts and Leonard Baca, as well as poet, Georgia Santa Maria. Join other project participants on of the following dates. Go to MeetUp.com/Soup-is-Love-Project to keep up-to-date with the Soup is Love Project and to make donations to help off-set cost of materials and kiln firing.